In Daytona event 200 became one of the prestigious racing events in the United States. 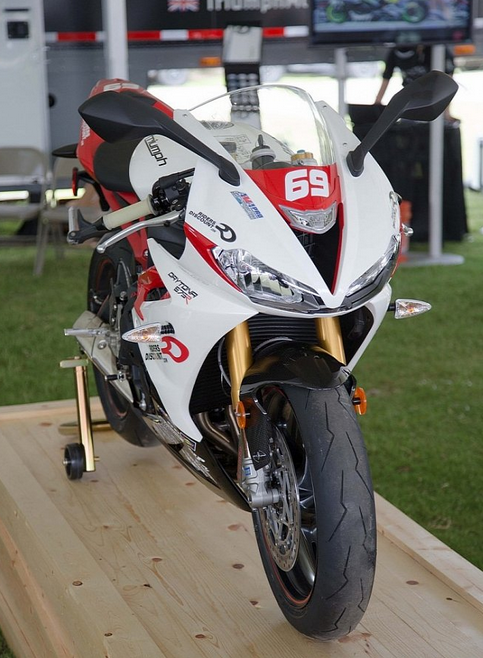 And to celebrate the historic victory in the race this year, the Triumph manufacturers release new models Triumph 675R Danny Eslick Edition with various accessories. Why so-called historic, since the last victory in the Triumph Daytona 200 which was captured in 1967 and along racer Gary Nixon. 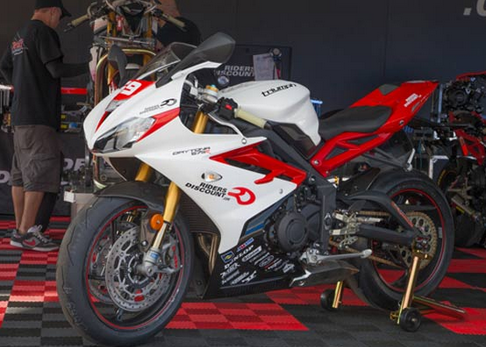 As a different characteristic of the Triumph 675R Danny Eslick Edition with the standard version, the body laburan 675R Danny Eslick Edition are taken from the livery driver numbered 69 of the Racing Team Riders Discount. Not just Livery course, but do not forget There are 47 accessories that can be used as a supporting performance during the Track Day. 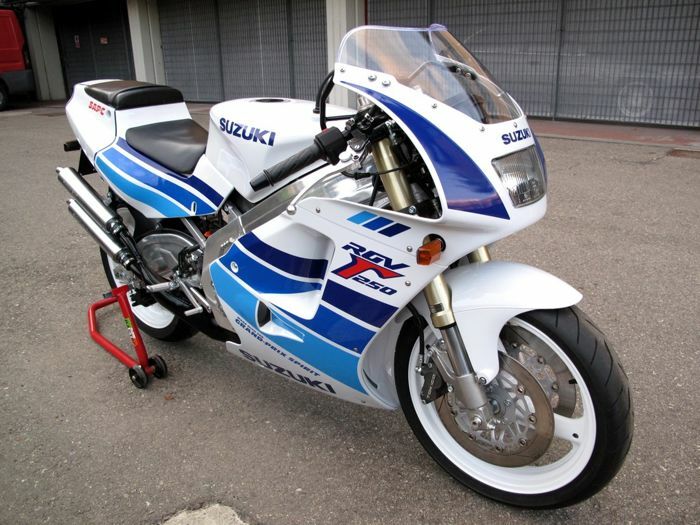 The advantages offered by this bike, among others, the existence of a signature directly from the rider Danny Eslick own. Accessories as well as combinations of Triumph Genuine Accessories and aftermarket products that elected them, the Triumph Genuine Accessories contributed Oil Dipstick, Lower Chain Guard, Engine Cover Kit, Seat Cowl Kit, Billet Oil Filler Cap Paddock Stands and Red Anodized Chain Adjustment Blocks. For other accessories including grips and Renthal sprocket, tail Attack Performance, with alloy ERV3 DID 520 gold chain. Triumph's own party gives to consumers to be able to obtain additional performance features nicknamed optionally with Performance Package from Riders Discount. This package is claimed to improve the performance of this motor power, and reducing weight to improve handling with a special formula of Track Day Riders Discount. 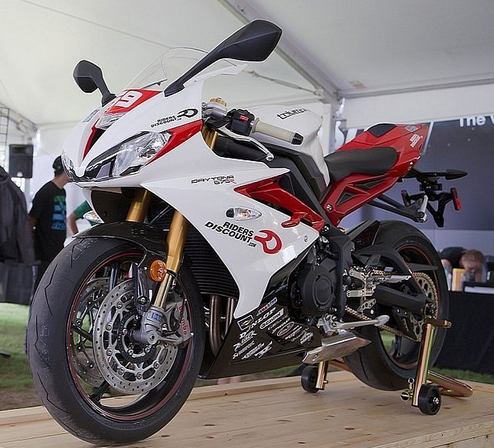 It includes a piggyback application Dynojet Power Commander V, and do not forget to aftermarket exhaust grip performance Triumph 675R using Dunlop tires Q3.